All GM 6.5TD are noted for the the OEM oil cooler lines leaking. Even new ones can leak shortly after installing them. 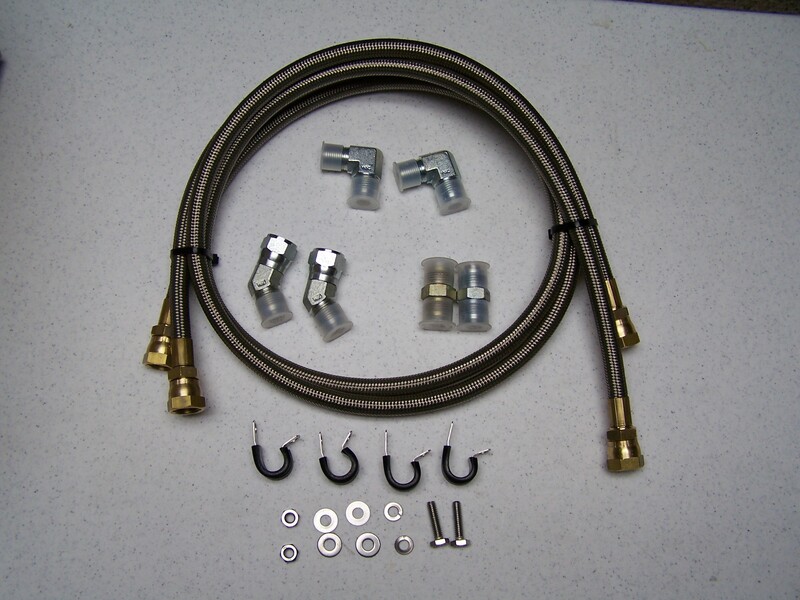 This kit includes lines that are made of Teflon and Stainless Steel braid for a long lasting system. These lines will fit early or late model motors. A new oil cooler is also included so their are no adapters used at the cooler end of the oil lines. Just pull the old lines out, and replace the OEM oil cooler with the one provided. No holes to drill or brackets to make, this will fit like the OEM oil cooler. Kit includes all fitting needed to fit any block.